My last article where I presented Futoshiki was one year ago. Then in order to correct this penury, I present you three Futishiki puzzles of size 8X8. As usual the rules are simples, in each cell put the number from 1 to 8 in such way that at the end each row and column has all the numbers only once. Futhermore you should respect the signs greater than > and less than <. 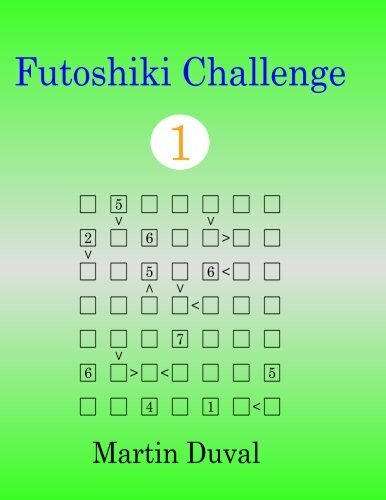 I want to remind you that you will find in these two books Futoshiki Challenge 1 and Futoshiki Challenge 2 the best Futoshiki puzzles. Each one has more than 190 Futoshiki of all size. Don't wait !! This is three new Suguru puzzles (Rules of Suguru). The first two (7x7) are relatively easy but for the last one is bigger.. much bigger (20x20). 3) With winter coming soon, the evenings will be longer than usual (for people living in the north hemisphere) then the followings puzzle will keep you busy for these moments. 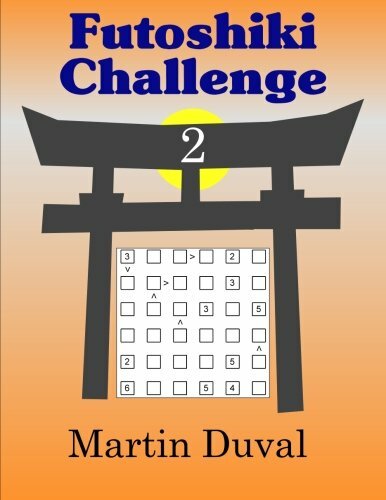 I have published three Suguru books subtlety named Suguru Challenge, Suguru Challenge v 2 and Suguru Challenge v 3. Each book contains 251 puzzles, from different sizes et difficulty levels.They are full of Suguru puzzles, in fact each one has 251 puzzles. These books will fill you with happiness. And finally if you like the king size puzzle, like the last puzzle on this article, my book Giant Suguru will fill you with elation !! 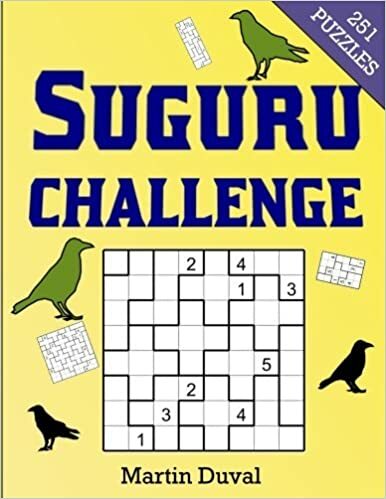 One of the favorite puzzle of all my reader: the Super Sudoku 16x16 contrary to the simple Sudoku this puzzle has 16 columns, rows and regions and you must use the number from 1 to 16. 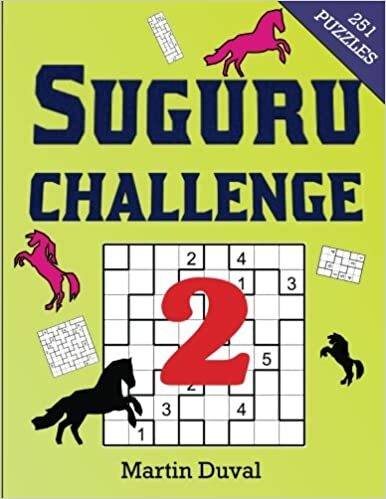 Let me remind you that my books Super Sudoku Challenge 1 and Super Sudoku Challenge 2 are there to please to Super Sudoku lovers. These two books are the perfect gift for anyone liking to exercise their mind !!. I explained in a previous artcile that the flower Sudoku is composed of 5 Sudokus. It looks like a cross with 4 Sudoku connected and the middle form a new Sudoku. By the same occasion I present you these two puzzles.